For more than six decades, Joe’s Steaks + Soda Shop has been serving the finest cheesesteaks in Philadelphia. It all began in 1949 when the original owner Samuel “Chink” Sherman opened a quaint mom-and-pop steak shop in Northeast Philadelphia – Chink’s Steaks. With a humble beginning, serving only steak sandwiches with or without onions, Chink’s popularity continued to grow, securing their place among Philadelphia’s top cheesesteak destinations. Current Owner Joe Groh began his career at Chink’s Steaks in his early adolescence, cutting meat and peeling onions in the basement. Joe grew up in the restaurant and, shortly after Sam passed, he purchased the business from the Sherman family in 1999. Joe vowed to run the famous steak shop with the same traditions and quality Sam did. After years of protest and debate, Joe decided it was time to change the name of his business. 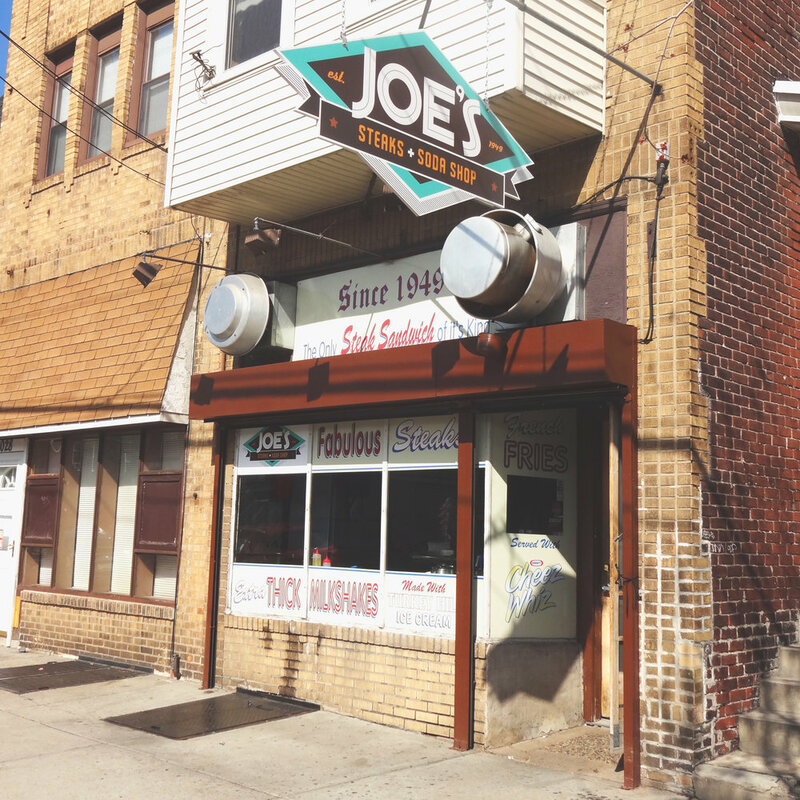 On April 1st of 2013, Chink’s Steaks was officially renamed as Joe’s Steaks + Soda Shop. Emotions ran high during this difficult time, but Joe stands by the decision. Joe’s Steaks is still serving the best cheesesteak in Philadelphia with the same 66-year-old recipe. We look forward to serving Philadelphia our same great products for years to come at our original location and our second restaurant in Fishtown.